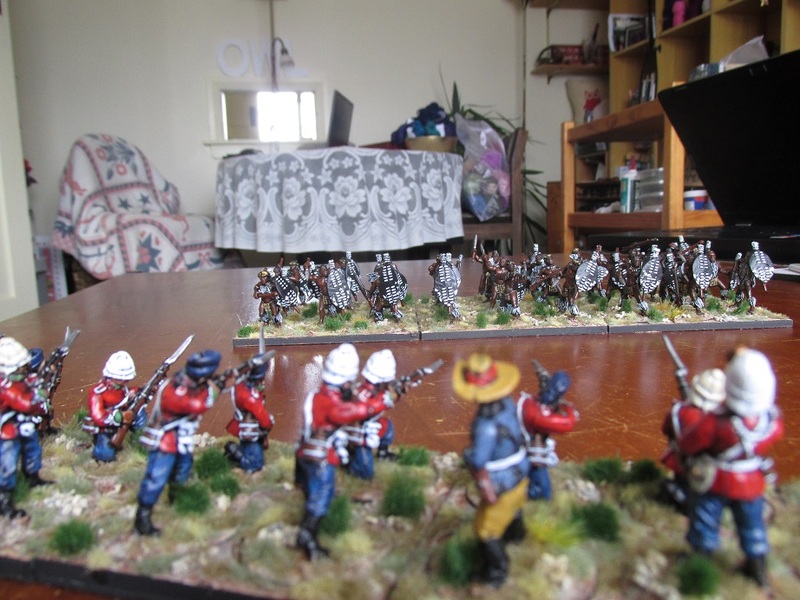 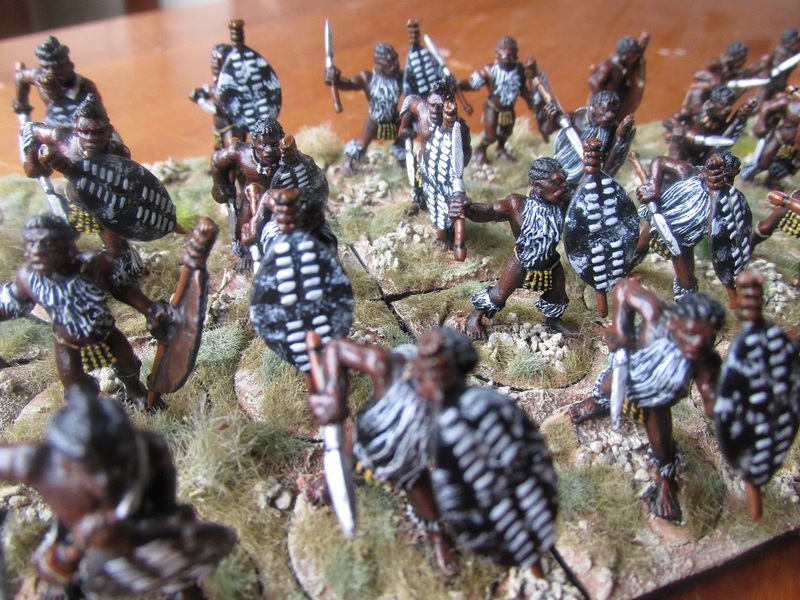 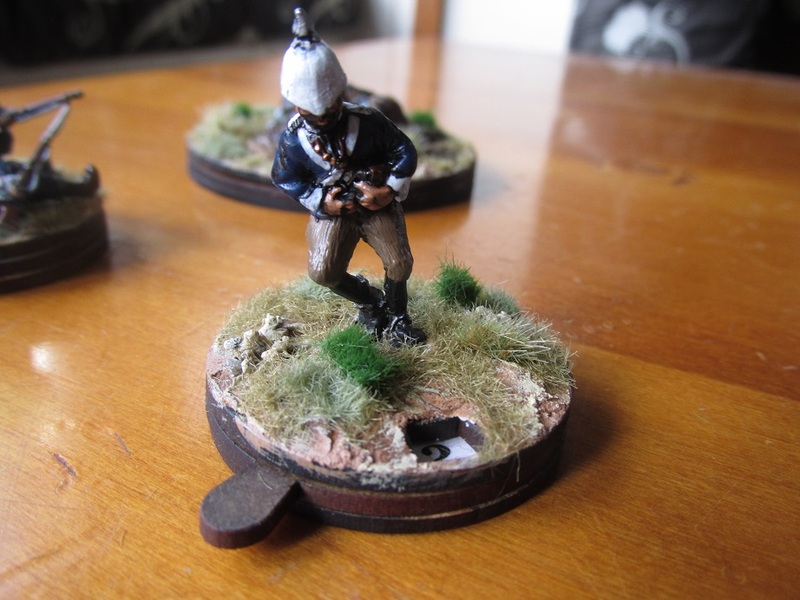 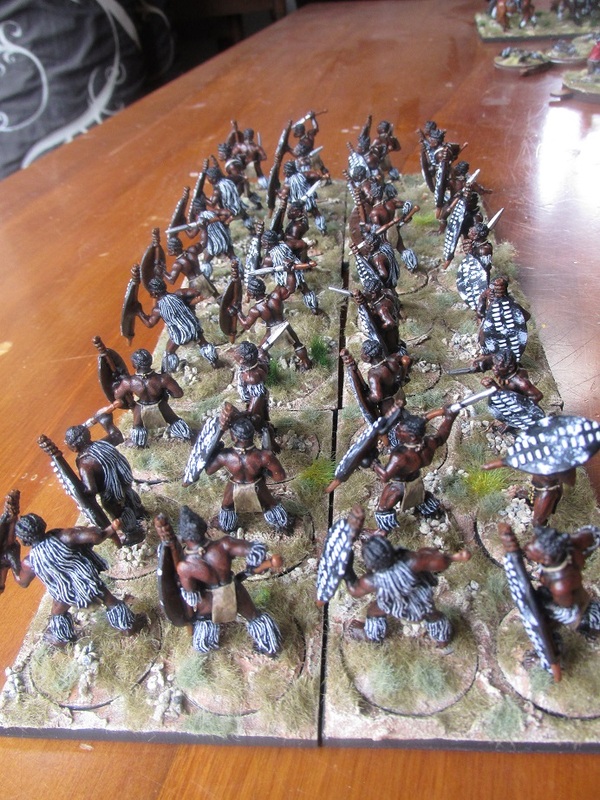 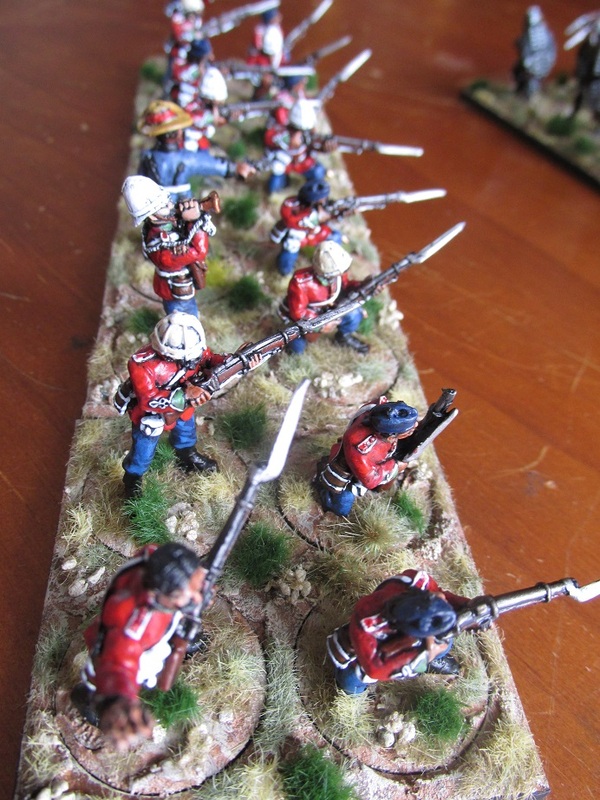 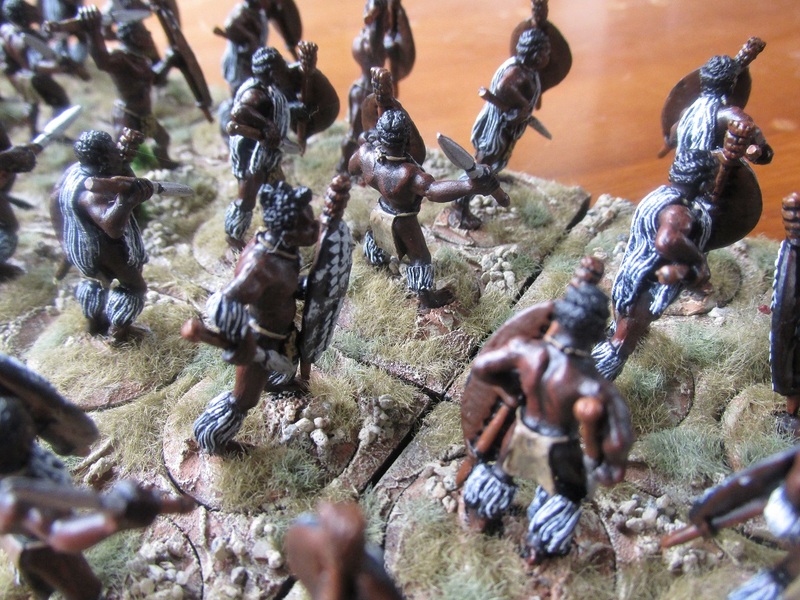 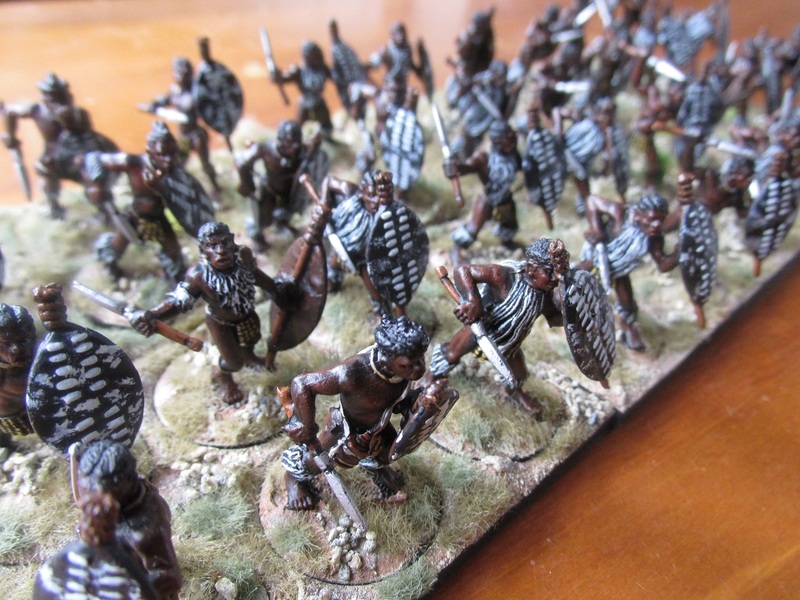 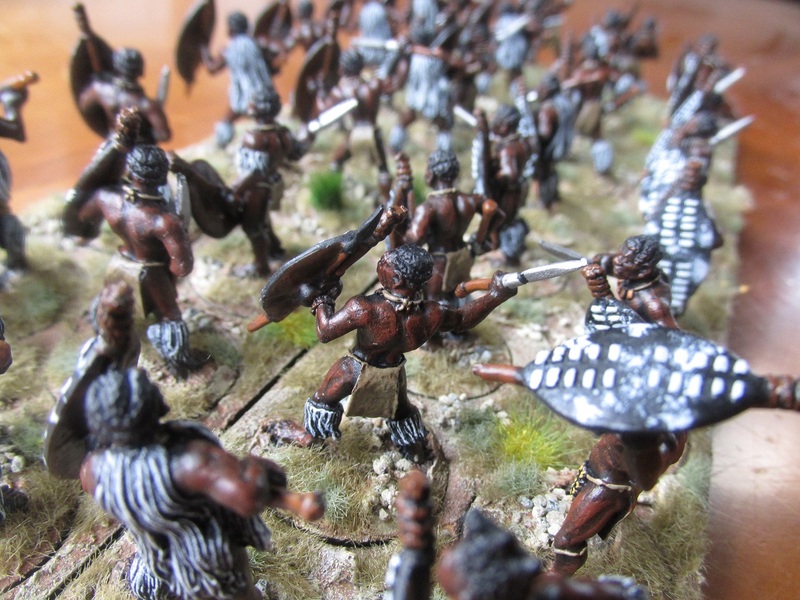 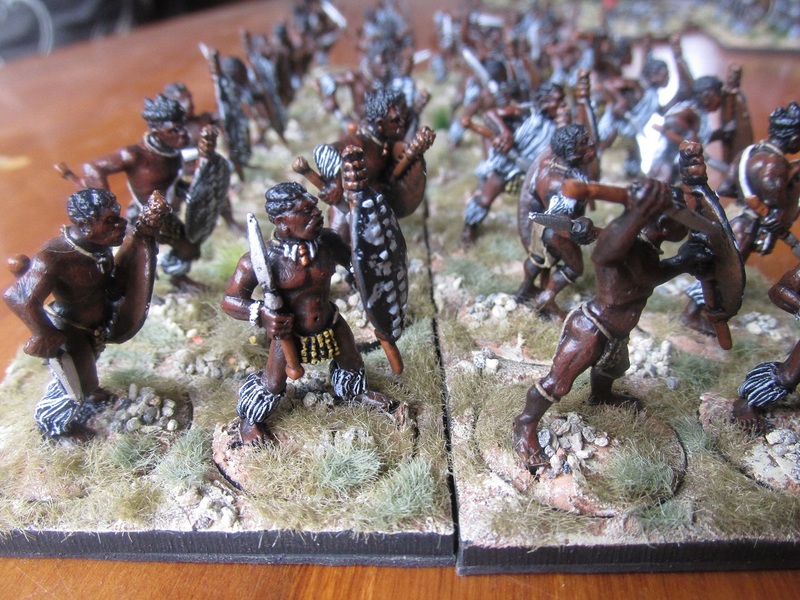 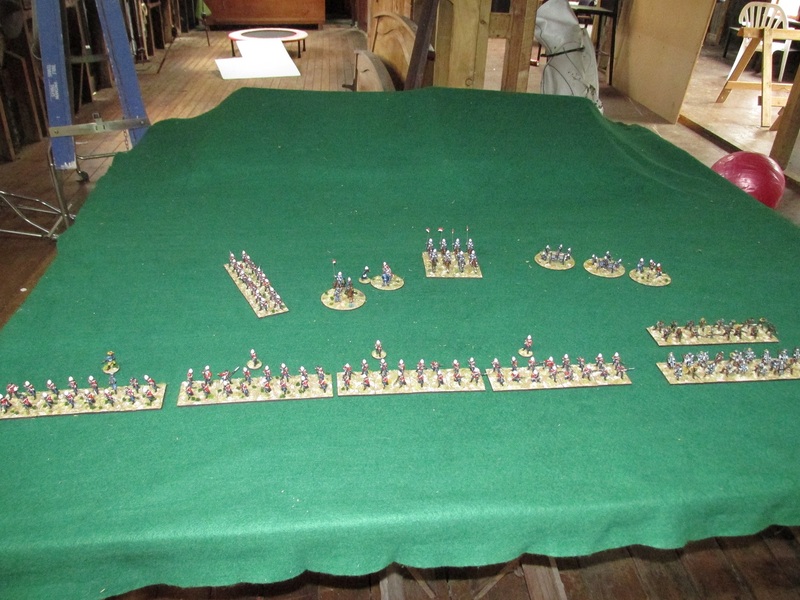 Yesterday I knocked out these casualty bases for the British side in my Anglo-Zulu Wars project. 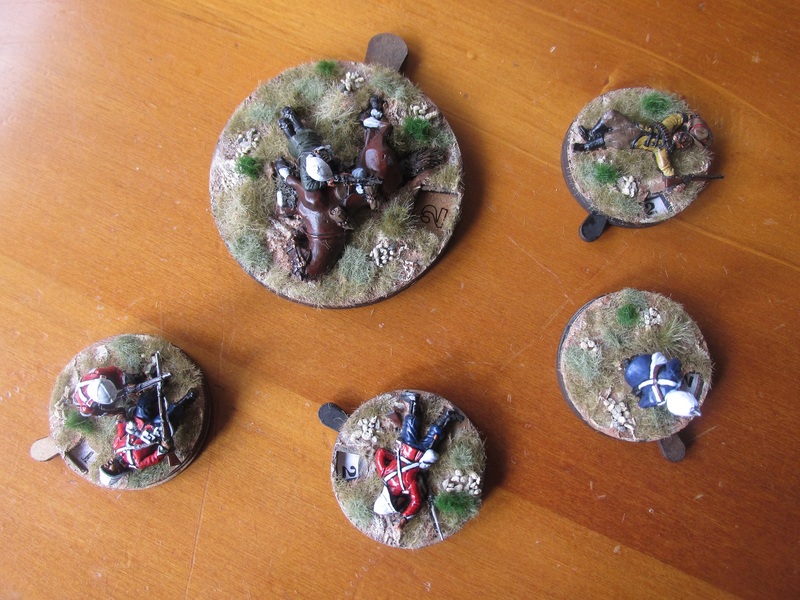 I had a few Redoubt casualties (all Auxiliary Cavalry) that I brought in an order last year – really to test the waters with Redoubt figures to see how compatible they were with my Black Tree Designs figures. 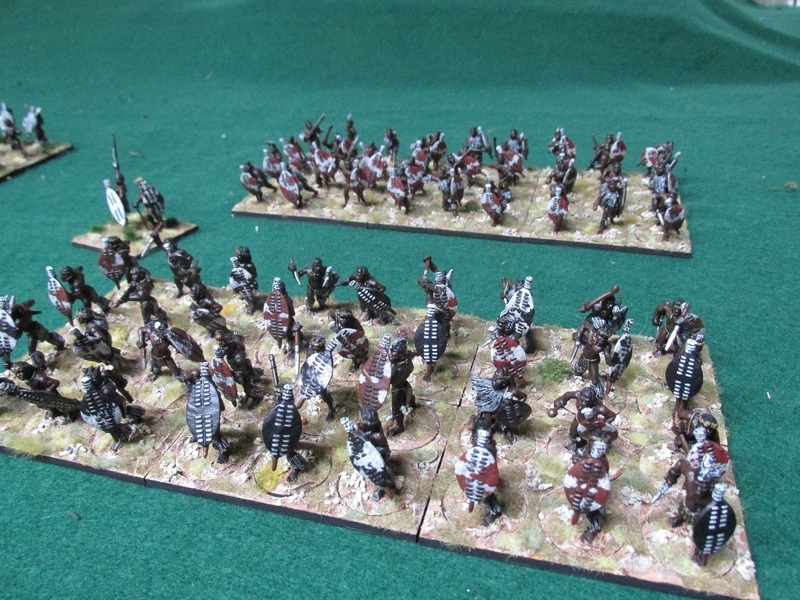 Very compatible as it turns out. 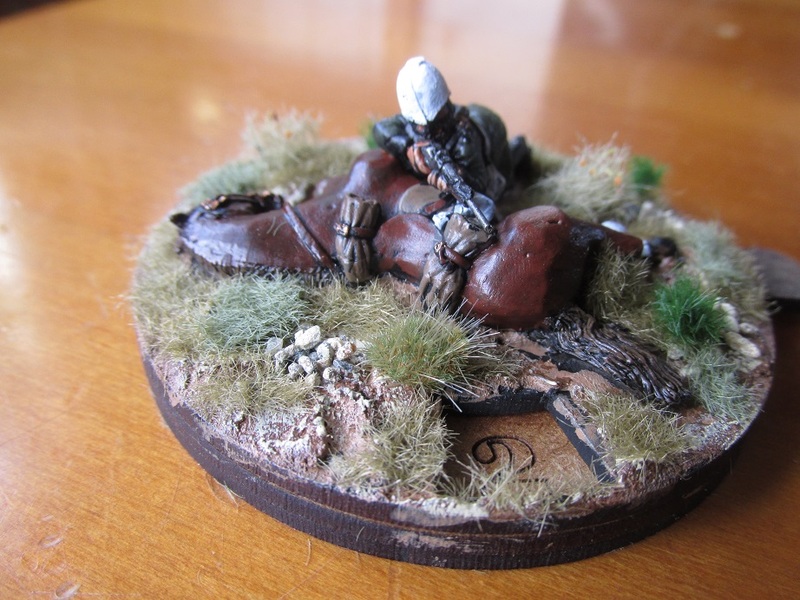 A Frontier Light Horseman. 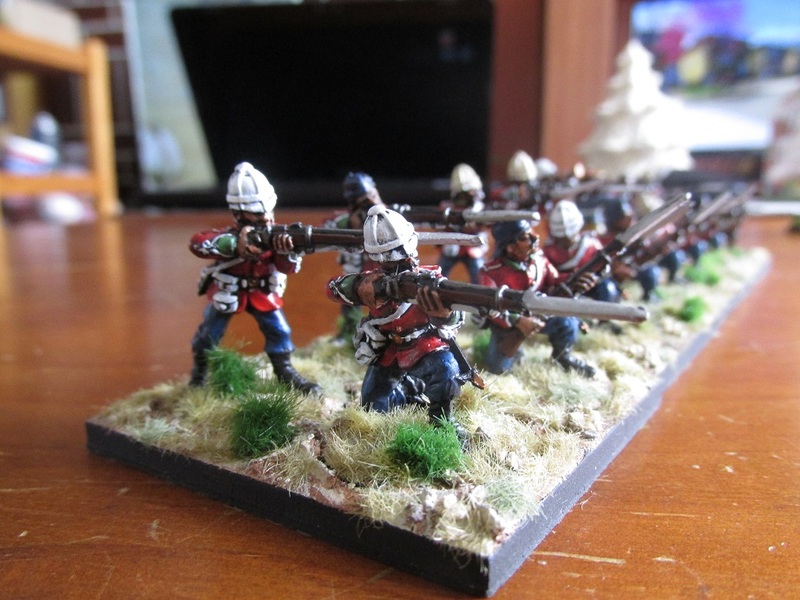 I don’t actually have a unit of these yet, but best to be prepared. 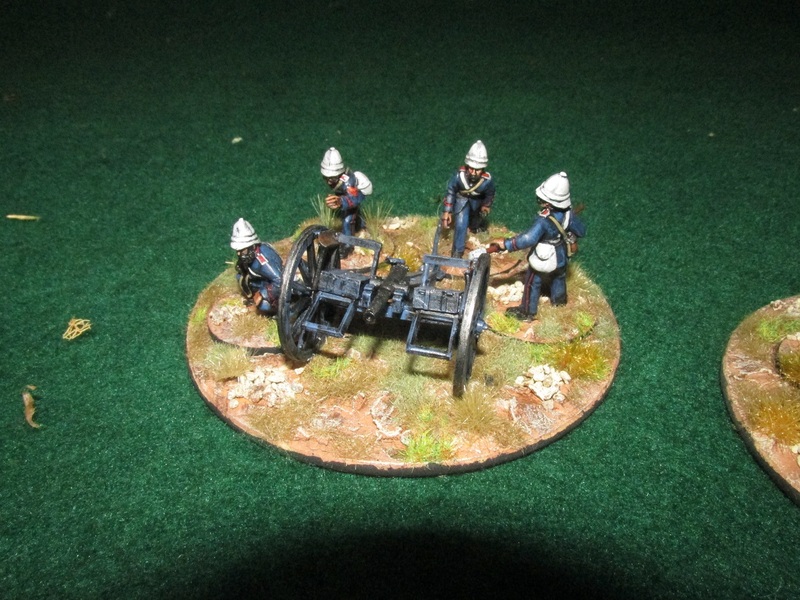 A Natal Carbineer. 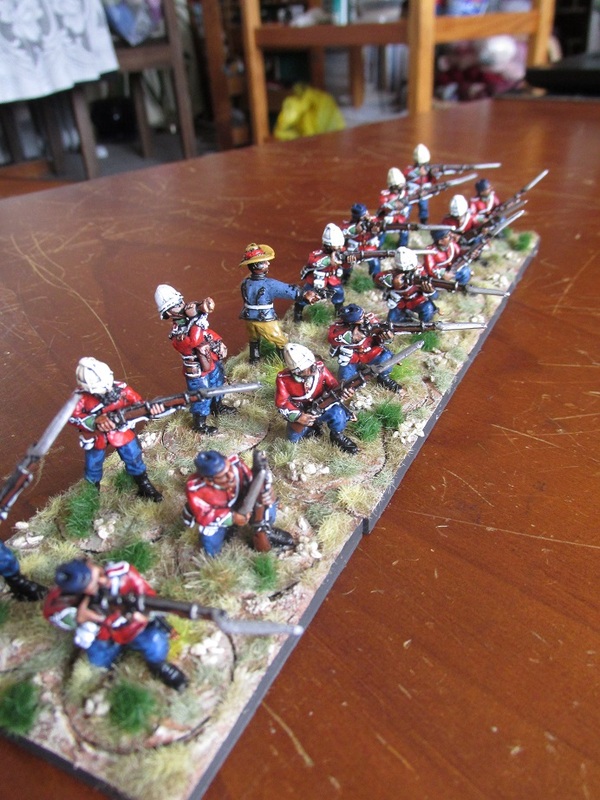 I do in fact have a unit of these – subject of a post next week when I take some pics. 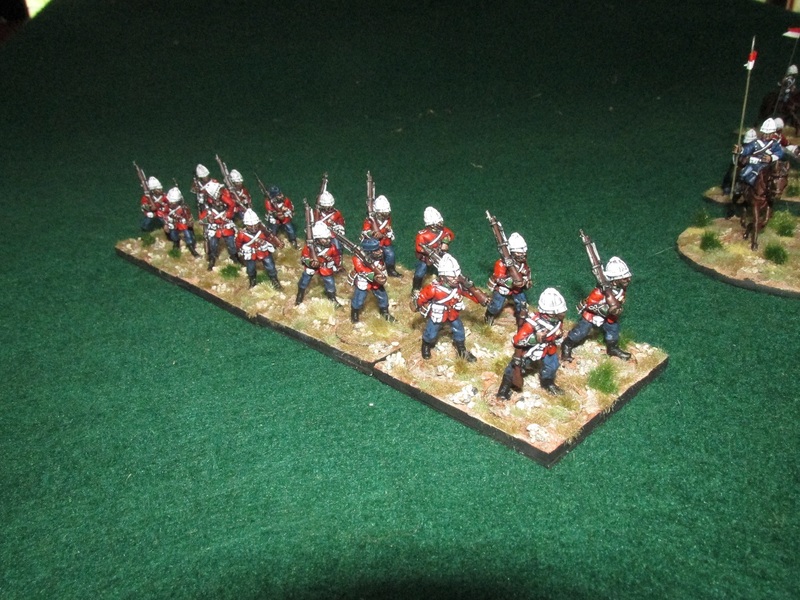 A Redoubt Natal Carbineer that I converted to be a Newcastle Mounted Rifleman. 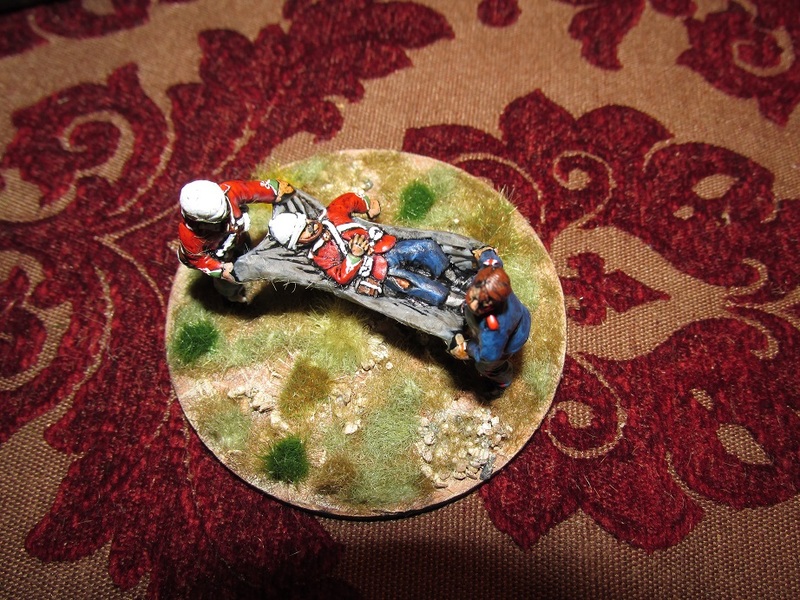 based on one of the custom 70mm casualty bases I had made by Warbases in the UK. 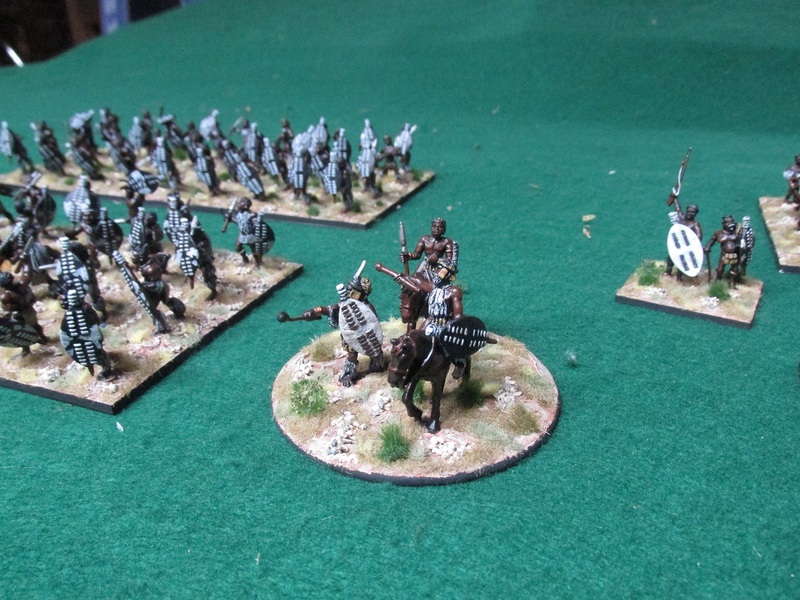 Another view of same. 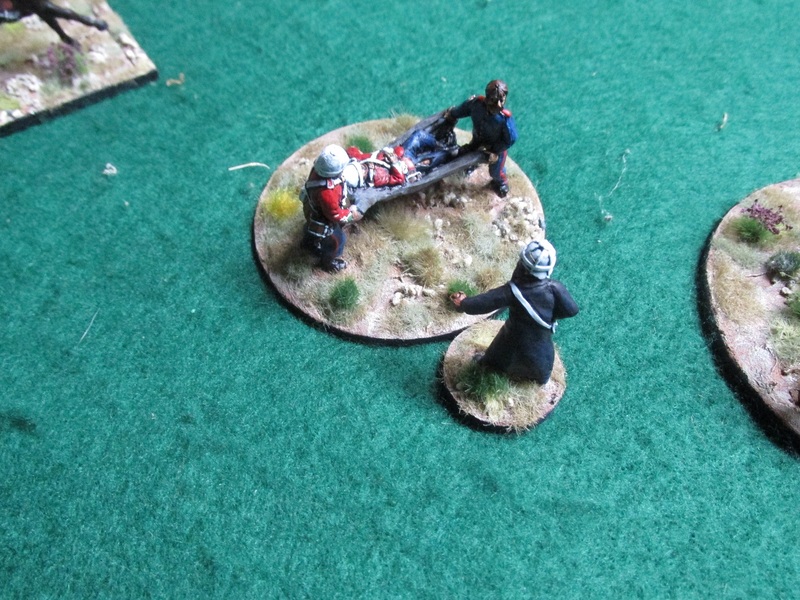 He arrived with the barrel of his carbine broken off so replaced with a piece of a pin. 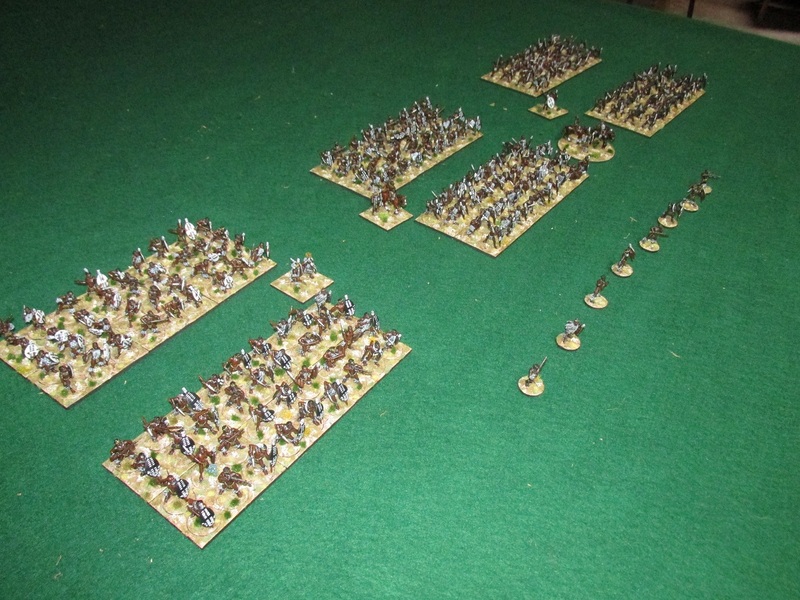 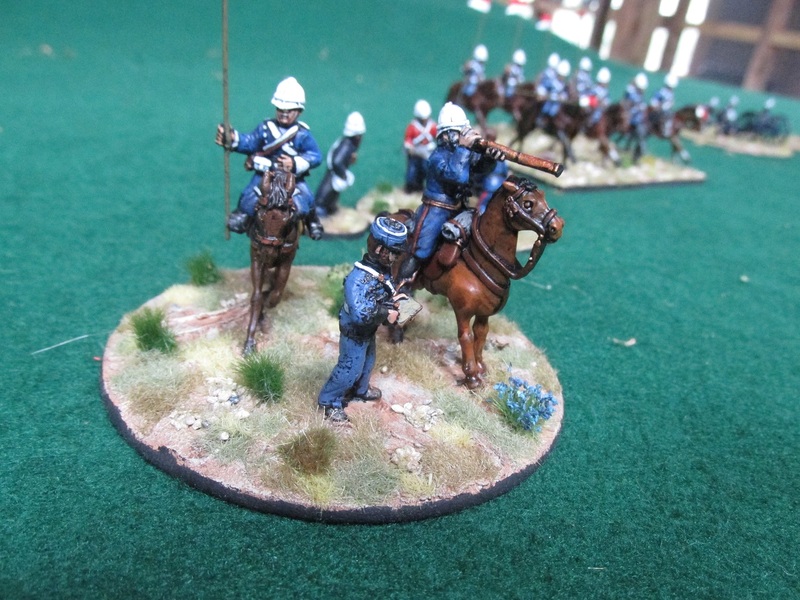 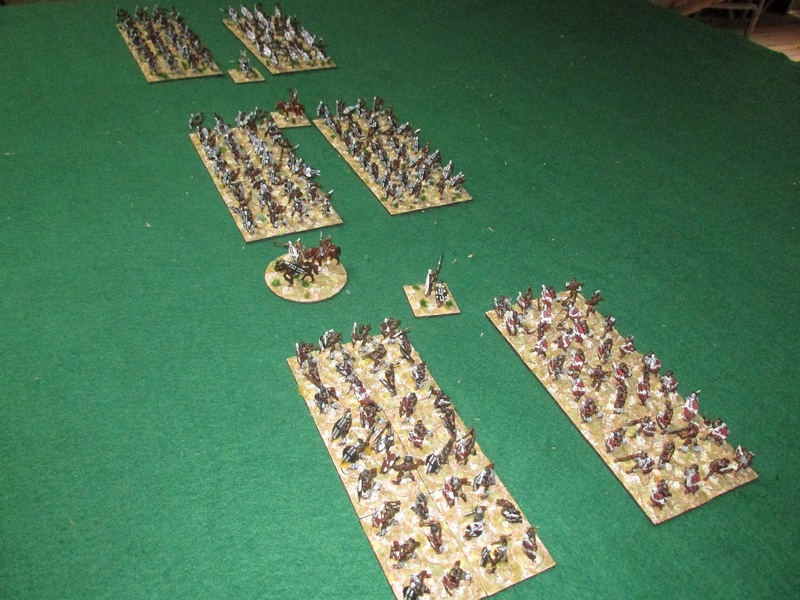 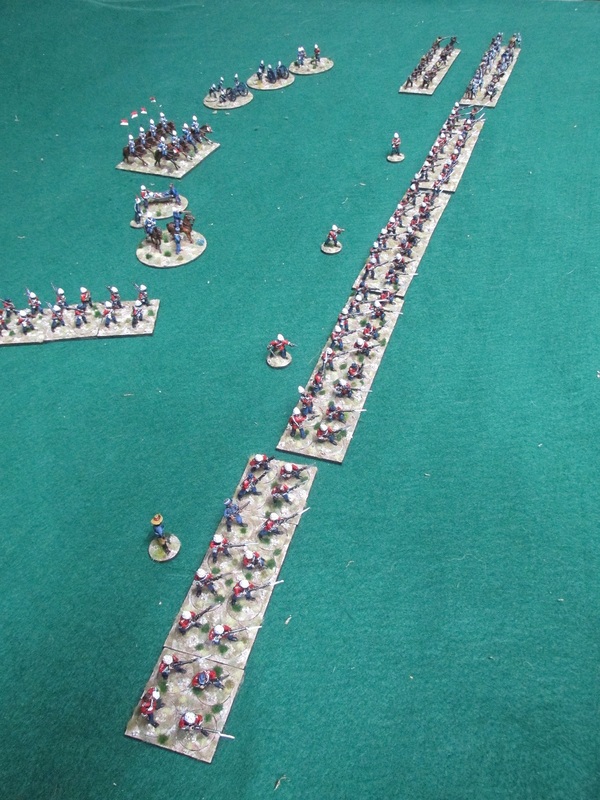 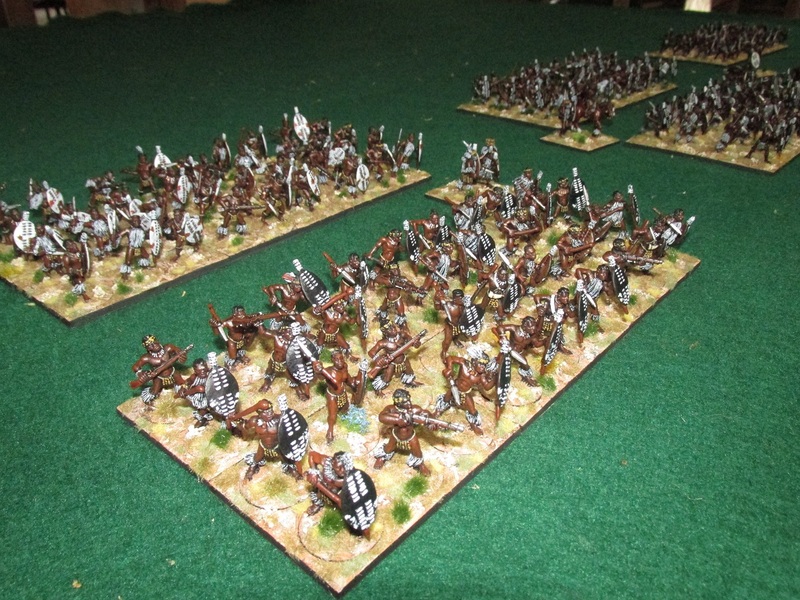 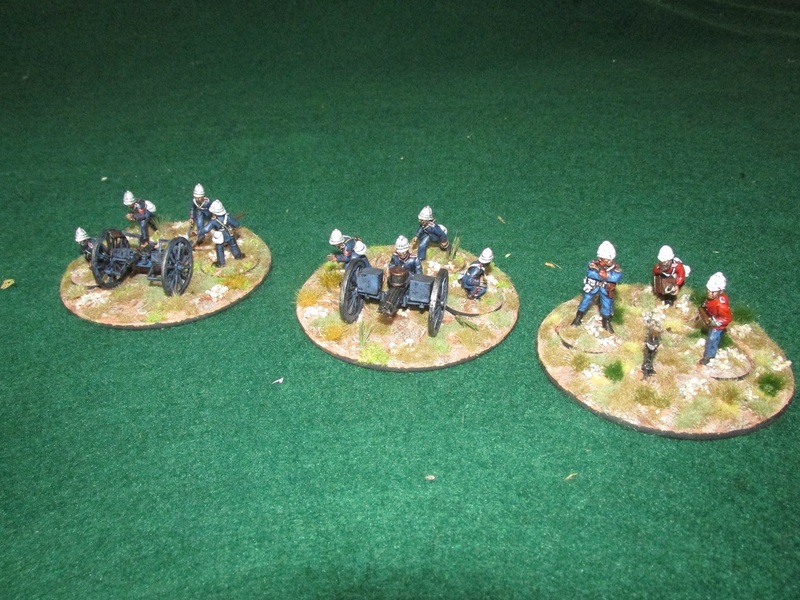 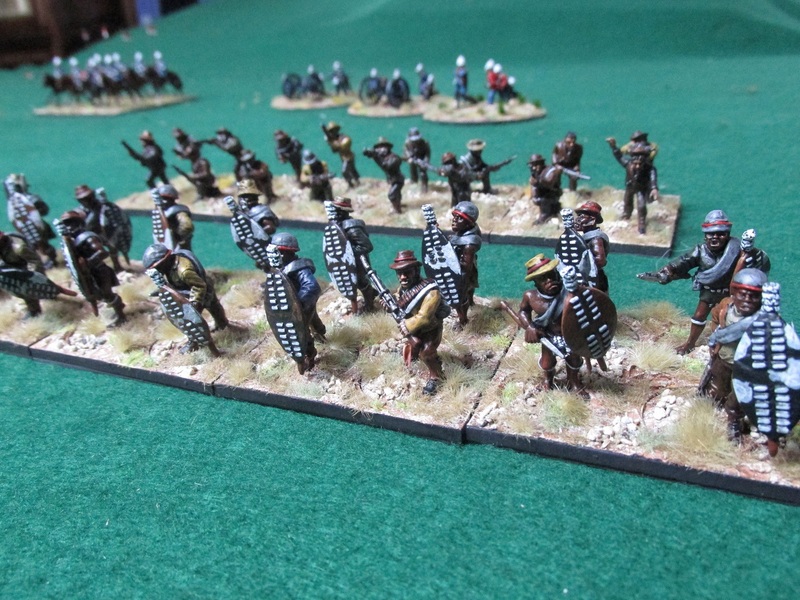 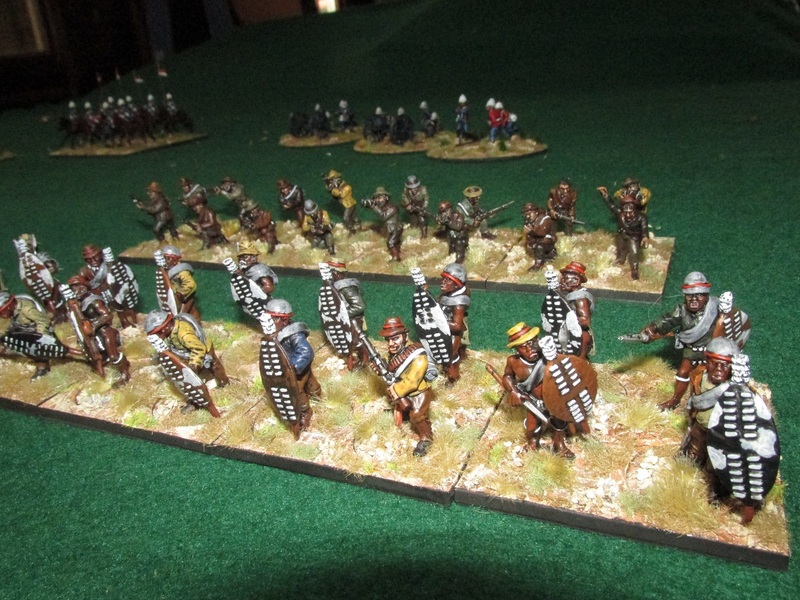 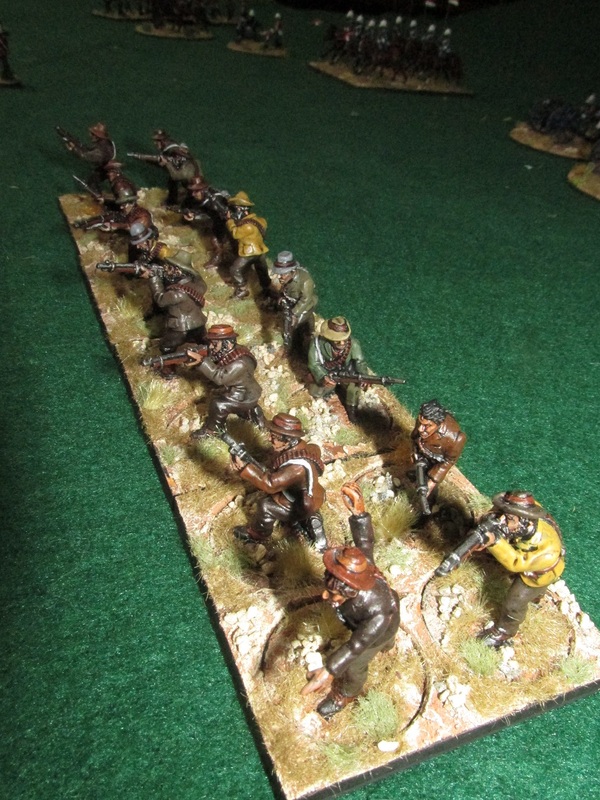 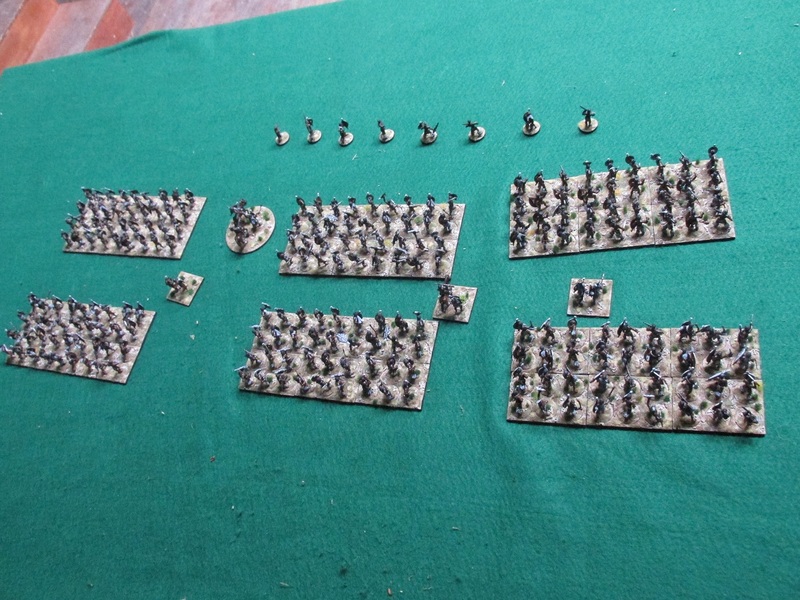 I had no British infantry casualty figures on hand so turned to my Warlord Games plastics. 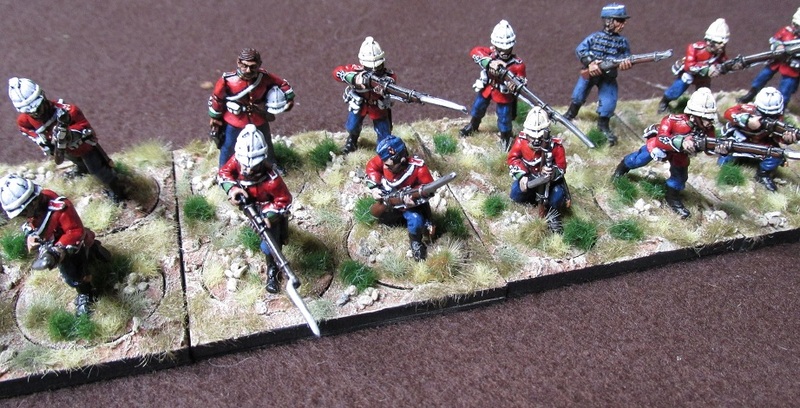 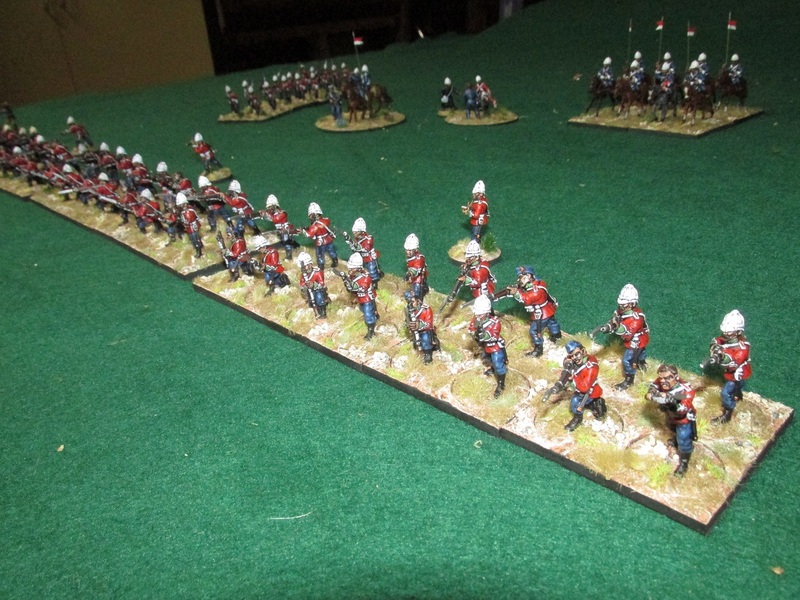 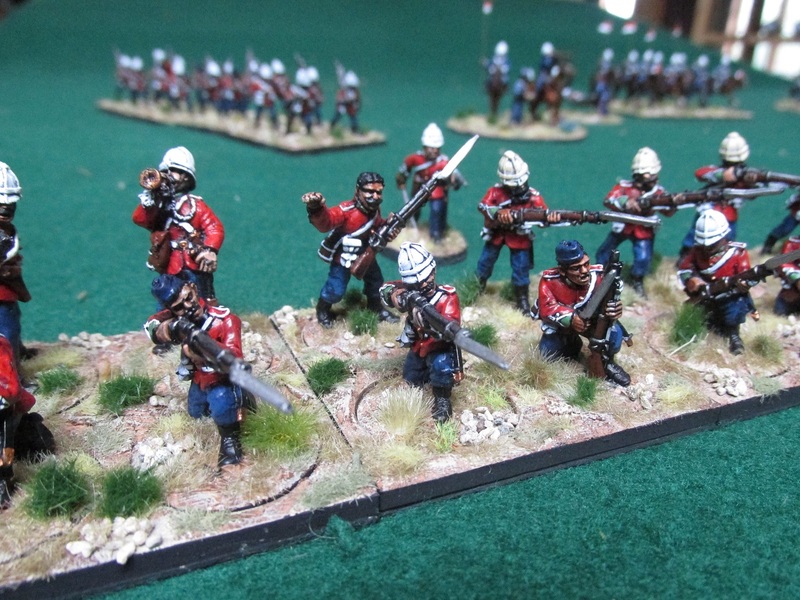 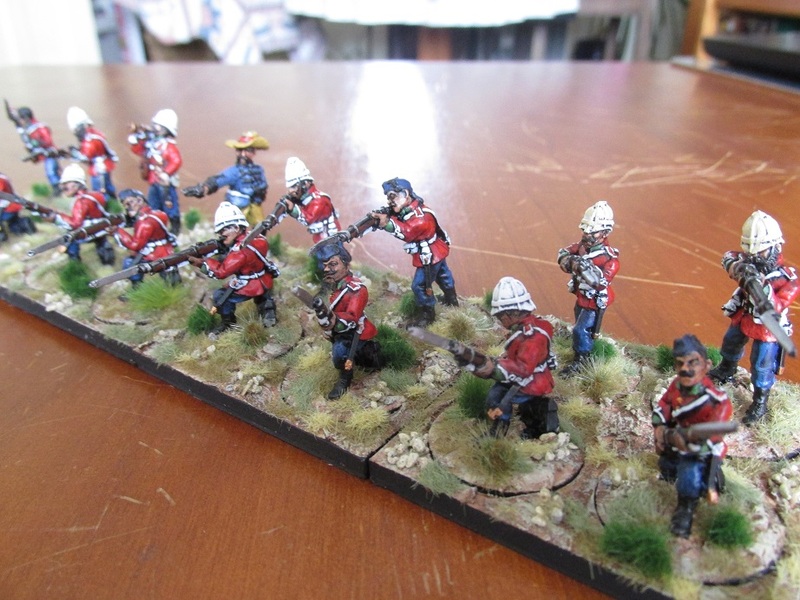 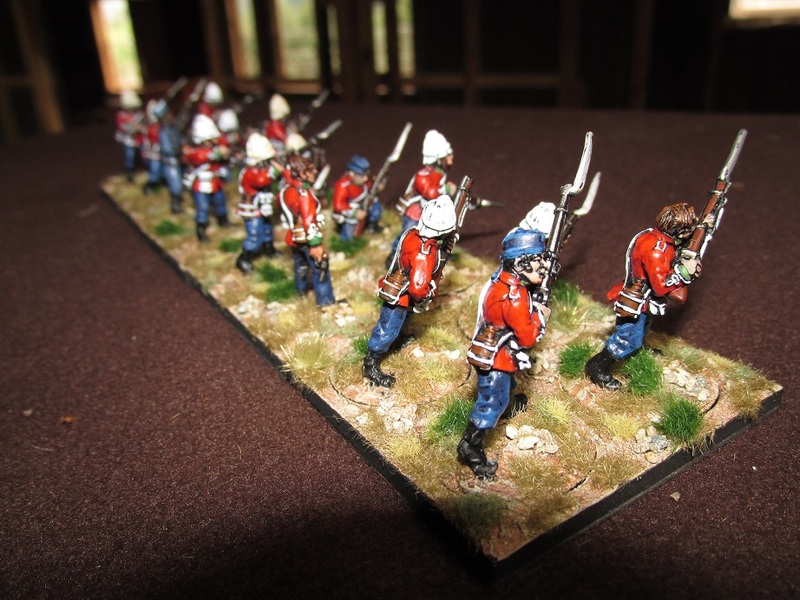 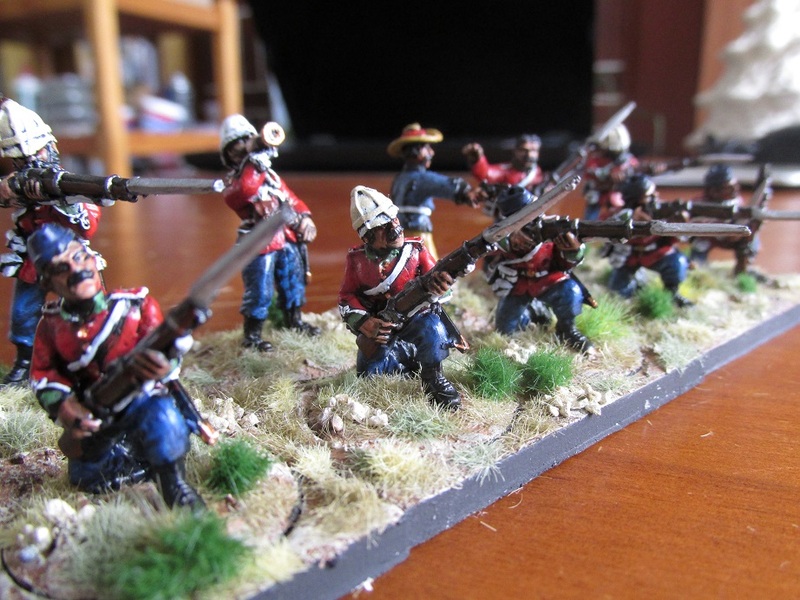 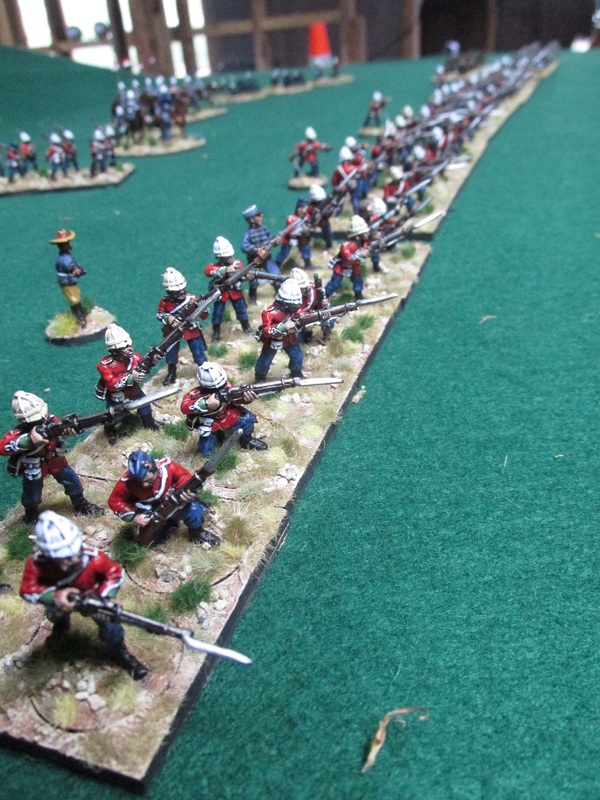 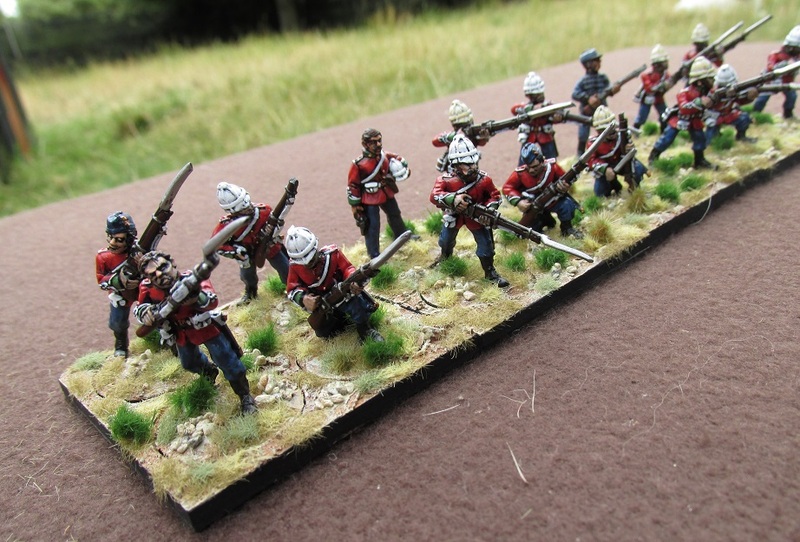 I brought a bunch of sprues during one of their sales a year or so back and assembled one company of British infantry and got halfway through painting them before I decided that I didn’t like the plastic figures for this project….but that meant a lot of left over bits. 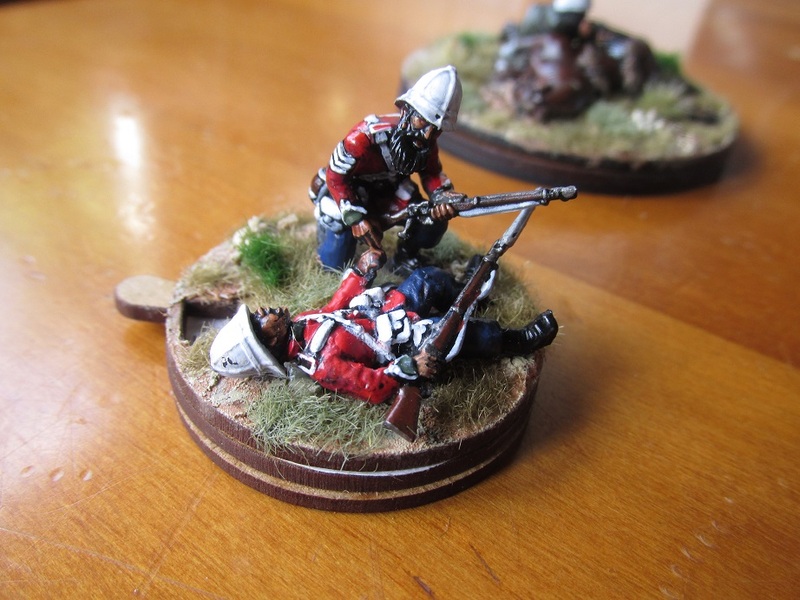 A British sergeant comforts a wounded comrade. 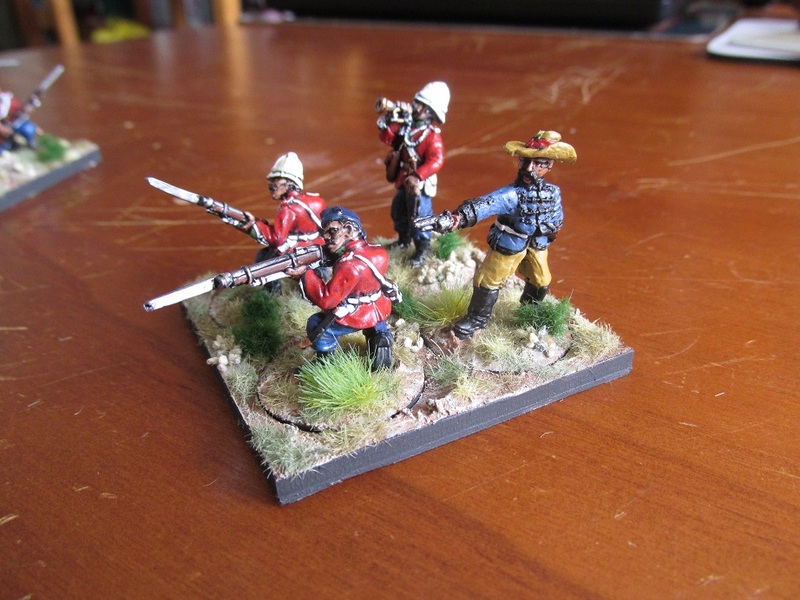 Started life as a standing firing pose. 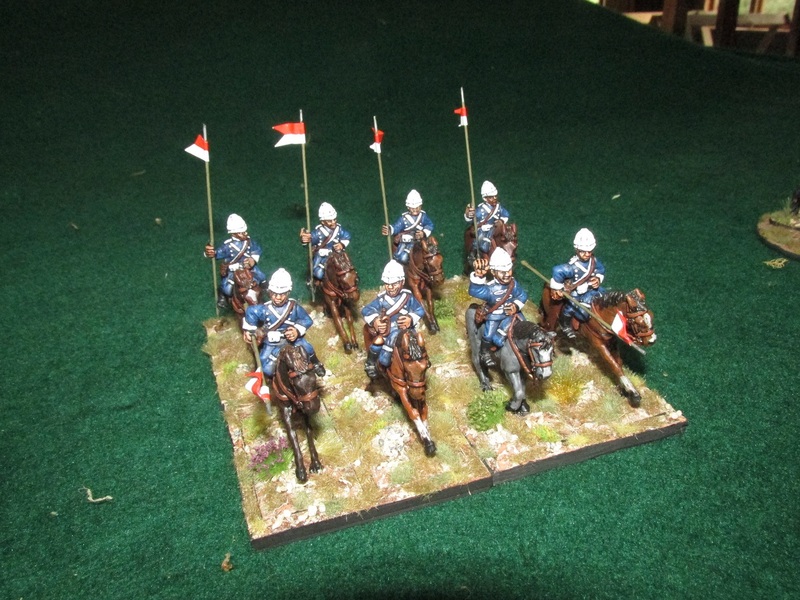 But then again don’t they all. 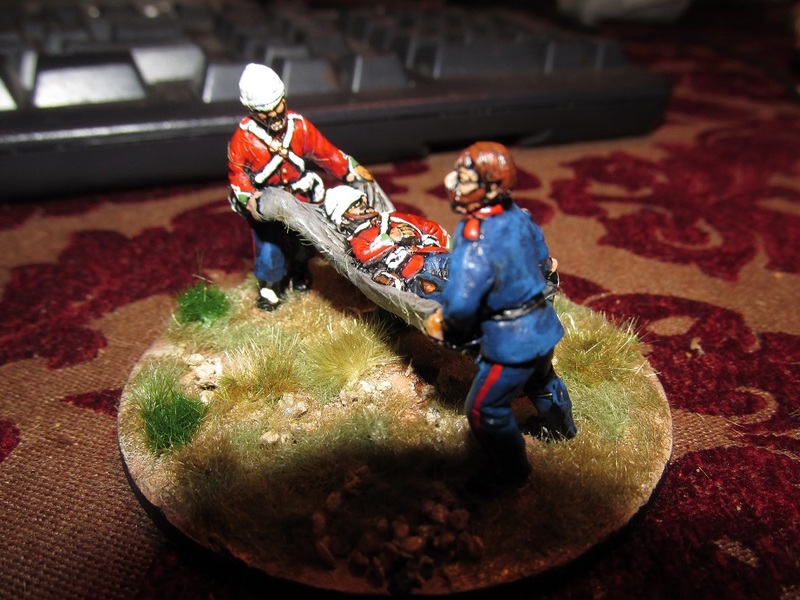 I finished this British casualty vignette just now at 10pm on New Years Eve. 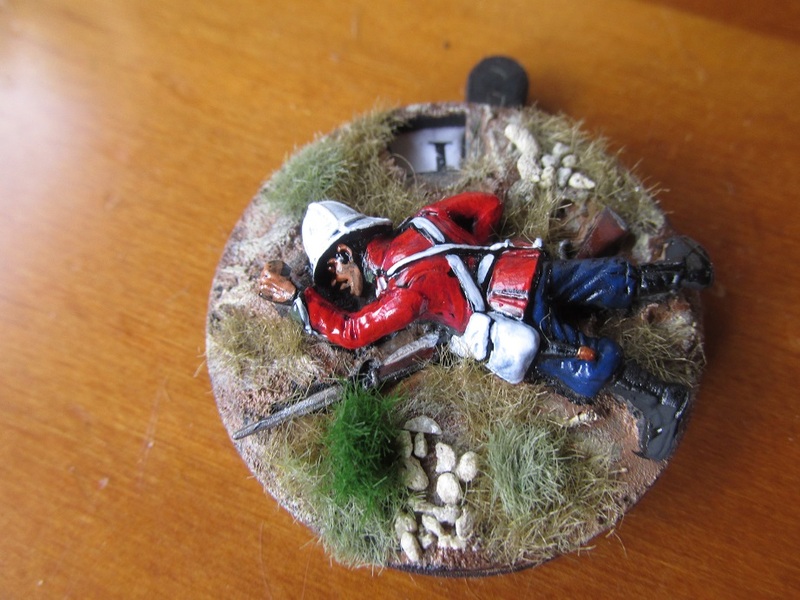 Started at 5pm and since then I rescued a lamb from a ditch, cooked a lamb curry (not the same lamb but one we killed two weeks back), drank half a bottle of Merlot and have made a dent in a nice Pinot Noir. 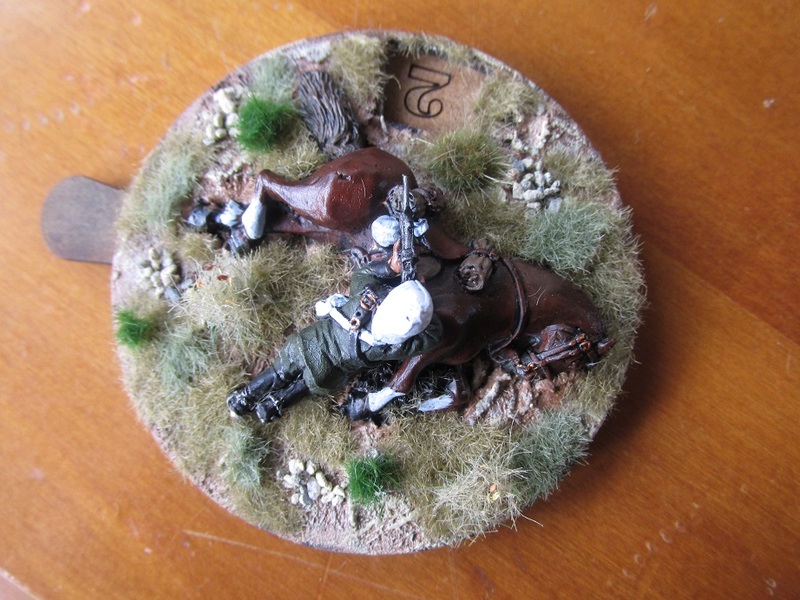 That probably is why it looks the way it does. 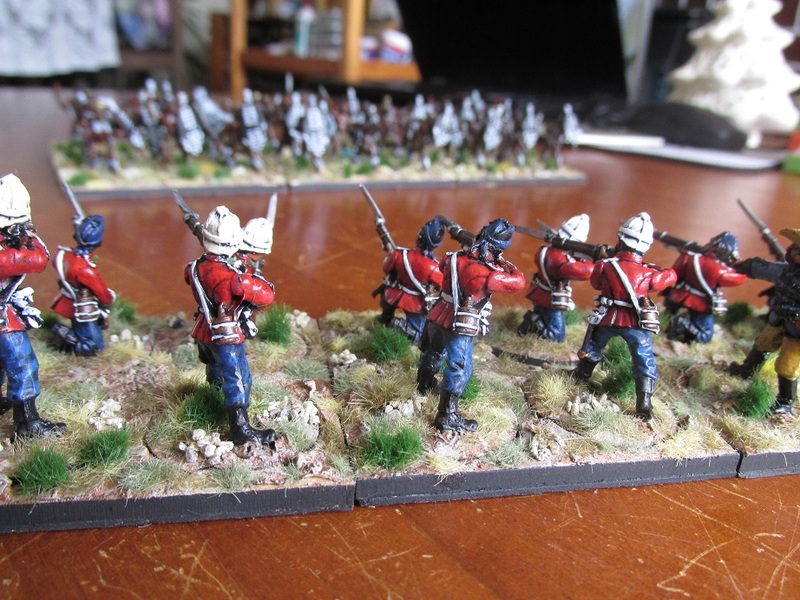 I may need to respray in the sober light of day and do it over but at the moment I am quite happy with it, even if the photos are crappy. 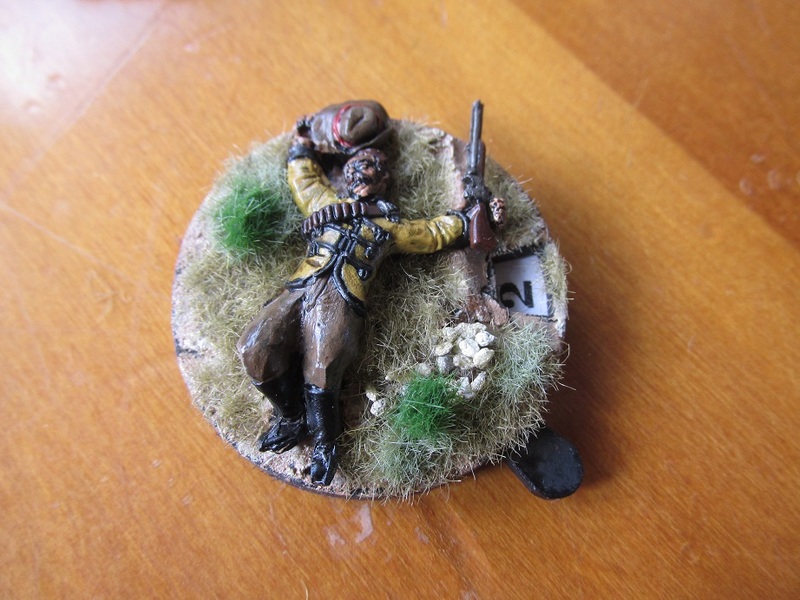 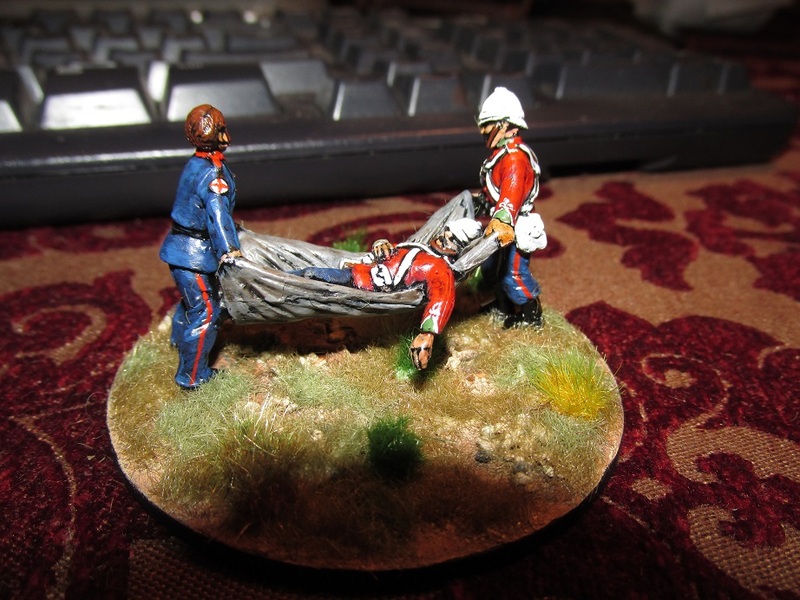 This is a Redoubt Miniatures Vignette of two British soldiers carrying a wounded comrade in a blanket.